With more than 10 years experience in the Plastic Surgery. Dr Soueid has completed specialist fellowships in Aesthetic Surgery in the UK and Brazil, as well attending masterclasses in cosmetic surgery in the UK and Germany. He has also undergone advanced training in Laser treatment, awarded from the University of Manchester. Ali has also specialist training and certification from Xiapex, Radexis. He has more than 10 years experience in the Plastic Surgery. He has completed specialist fellowships in Aesthetic Surgery in the UK and Brazil, as well attending masterclasses in cosmetic surgery in the UK and Germany. He has also undergone advanced training in Laser treatment, awarded from the University of Manchester. Ali has also specialist training and certification from Xiapex, Radexis. In addition, Ali is a fully trained Reconstructive Surgeon, with a specialist interest in reconstruction following major trauma and burn injuries, having completed fellowships in both of these. 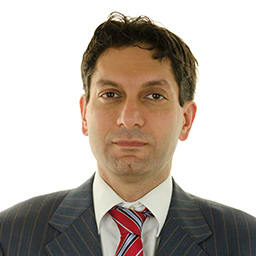 Ali has undergone all his medical training and specialisation in the UK and Ireland. He graduated from the Royal College of Surgeons in Ireland, and completed his general surgical training in Leeds to be awarded the membership from the Royal College of Surgeons of Edinburgh. His specialist training was completed in Birmingham to lead to the fellowship from the Royal College of Surgeons of England.